I had planned for this to be the final update on the Whirlwind repair & service, but before I give my focus to testing the game, there were two more presentation things to look at first. 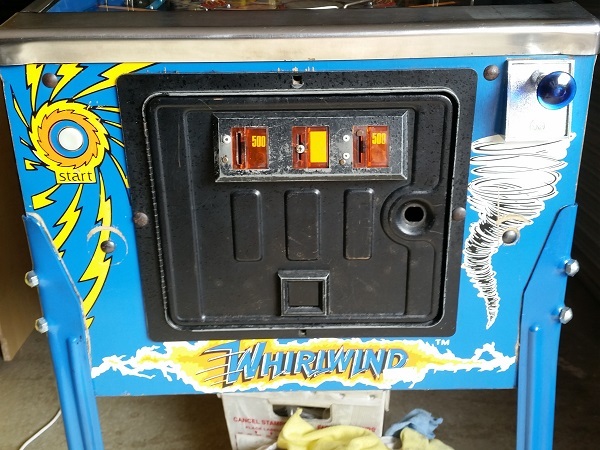 One of the final items to address on Whirlwind is the coin door. I had mentioned in previous updates I was going to look at it, but kept putting it off. No longer though. When dropping the machine off, the owner asked me to give the coin door a face lift. He wanted the rivets removed and the holes filled from the coin entry housing. No problem, can do. 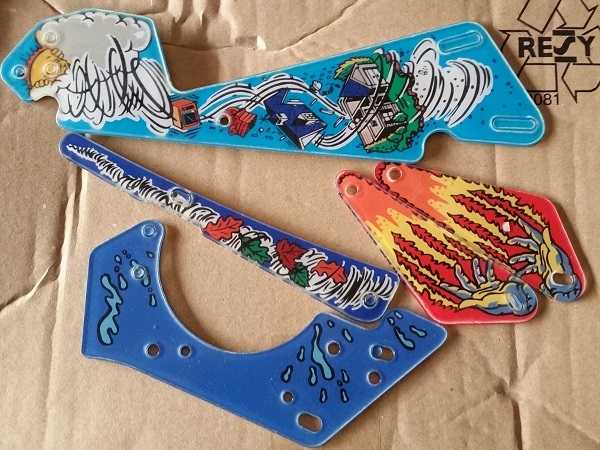 I wanted to go a little bit further though and replace the pricing plates with something nicer and also replace the two missing bolts from the coin door. 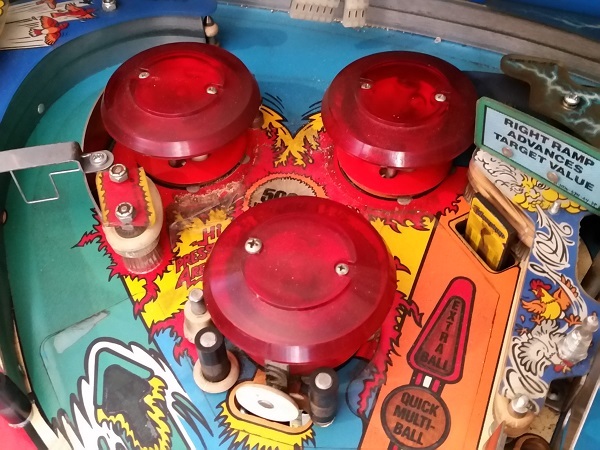 Having a set of pop bumpers on the playfield is almost mandatory for me when looking at pinball machines to play. The designers of Whirlwind must really have loved pop bumpers. 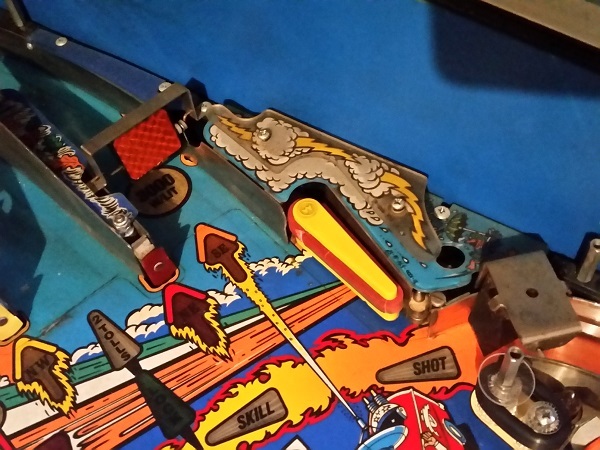 Why have just one set on the playfield when you can have two? The only down side to pop bumpers is disassembling them as it cam be fiddly, especially those lamp sockets. The end result though after working on them really improves their performance, along with the presentation of a machine. It also makes them sound great too. The set I did in my previous update came up really nice and now it’s time to rebuild the second set. This update will be covering the final assemblies in the machine I need to look at, all of which are located at the top of the playfield. I’ll be starting first with the pop bumpers though. Progress on the Whirlwind service has been quite good so far and it’s cleaning up nicely. There have been a few small surprises along the way, but nothing scary or too troublesome. On the bright side, the surprises keep things interesting and is a constant reminder that no two machines are the same. There is always something different to solve, making it a rewarding feeling to work on each machine. I’ll continue to work my way up the playfield in this update, performing some general cleaning and servicing more assemblies along the way. The first one to receive attention in this update is the top right flipper.